It is difficult to share the news of a soon-to-be-released puzzle game with any level of detail without getting into "spoiler" territory. One must tread very carefully indeed when it comes to talking about this kind of thing. In fact, there are only a handful of other conversations that are as fraught with the risk of getting oneself into trouble. You know, conversations like that one where your significant other drops the incredibly dangerous question regarding whether or not "these pants make my rear look big." Having tripped over that very question myself a number of times prior to getting married, I was well-prepared for it when my spouse eventually asked the very same thing. My thinking is that situations like these are very similar to removing a Band-Aid: just yank it off and be done with it. It will only hurt for a minute, or so I thought. While I can recommend adopting this strategy should you ever find yourself in this situation, I would vehemently suggest not using my specific answer, which was "It's hard to say, Hon, but something is definitely doing it." On the plus side, she never asked again. 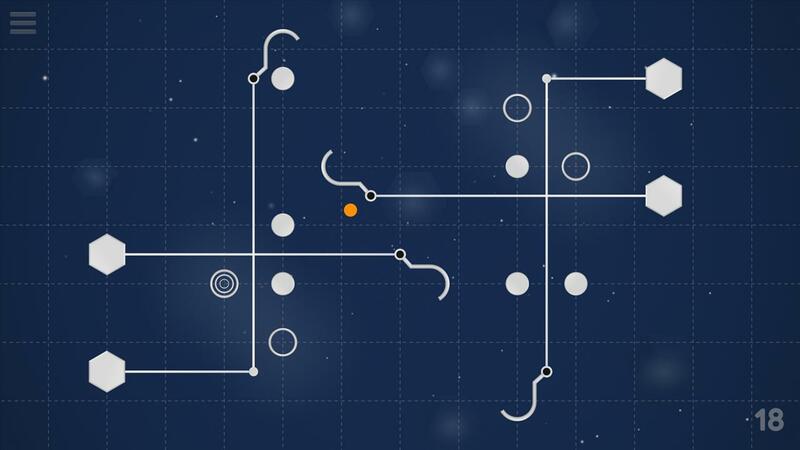 You will understand, then, why I tread carefully while introducing SiNKR, a minimalistic puzzle game with a pleasantly gentle learning curve developed and published by Wahler Digital, a single-member development team. By "minimalistic" I mean that there aren't a lot of distracting bells and whistles, power-ups, level-ups, hyperactive backgrounds, or any other form of fluff designed to create faux complexity and/or a hypertensive environment. In fact, there isn't a whole lot more than little round pucks and a series of hooks with which to move them. It's really as simple as using the hooks to pull the pucks into hollow circle targets. That's it. So, you ask, if it's so simple, where's the puzzle? Well, I'll try to walk you through it from my point of view without actually divulging tactics, logistics, or anything else that would be of the least bit of use to you. And because SiNKR was developed by a single individual, I will also be able to provide more background into the goals and life lessons that drove many of the more subtle design decisions that in turn drove the minimalist and easy-to-learn game design. In my decades of experience in application development, I know from first-hand experience that making something easy to use takes far more effort than the opposite. When you can pick up a game and are productively playing it within three minutes, despite the complete absence of explanatory text, you are looking at a game that exhibits the results of a tremendous amount of thought and effort. 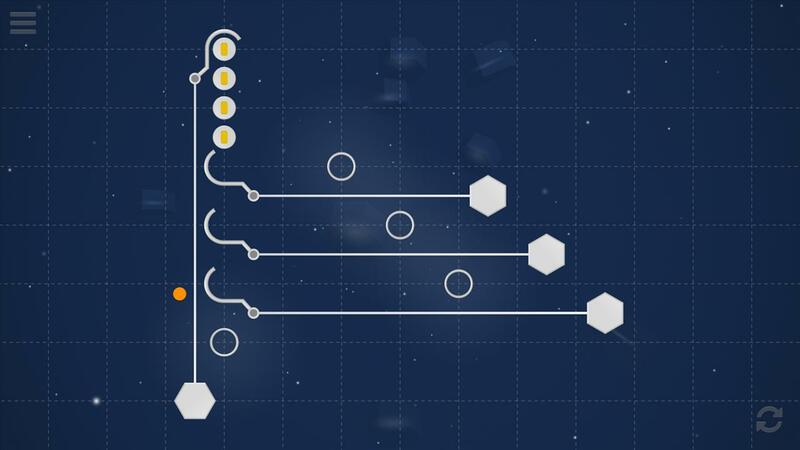 When you eventually find yourself confronted with the higher complexity of a puzzle later in the game and attack it with the confidence of knowing you will be able to solve it if you just think about it enough, you will realize that that same level of effort went into building an optimally sloped learning curve. And when you do solve the puzzle and say to yourself "Aha! It's simple now that I see it," you know you are playing a one-in-a-hundred well-designed puzzle game. SiNKR is such a game. On the very first puzzle, it took me about three seconds of looking at it to determine what was expected of me. The aforementioned marriage took years longer than that. The lesson learned from the first puzzle was applied in the second puzzle, albeit with one more little twist. This was pretty much the way the first dozen puzzles worked; each puzzle built on the knowledge gained from the previous efforts, plus one new feature or tool, or concept added. At that point the learning curve was shallow enough to be pushed right up against the ragged edge of "too easy." Fear not, by the thirteenth puzzle the slope was getting steeper, but still not insurmountable. By the eighteenth iteration, I was to the point where it took copious amounts of both thinking and experimenting through trial and error to arrive at a solution. But again, I never had to resort to the use of hints (which is a good thing, because there aren't any) and I never felt that a puzzle was unfairly difficult or arcane. I never encountered a situation in which I felt that far too much intuitive deduction would be needed to arrive at a solution. In retrospect, my path through the learning curve had a couple of plateaus. Right around the seventh puzzle I felt like I had been taught the language of the puzzles. 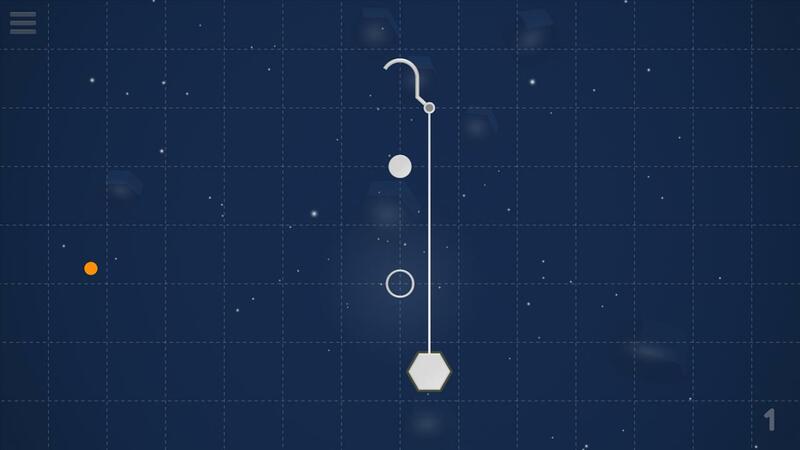 This language was comprised of "To do this, you do that, and if this happens, do this other thing," and from there it was simply applying it to determining the proper order and timing of movements required to finish the level. At some point in the low teens, it started to feel more like trying to figure out the operation of a complex machine. The combination of the two when used to solve the higher level puzzles offered an amazing sense of accomplishment. This is not the case with all puzzle games by any stretch. There are far too many wherein the finish offers more of a feeling of just being happy to be done with it instead of a feeling of having anticipation for the next one. It is not a subtle difference. As if a fairly stress-free playing style wasn’t relaxing enough, there is low-key background music as well. The song, Music for Manatees, was unobtrusive, yet managed to improve the overall feel of the game. It was not quite as easily ignored as elevator music, but it wasn’t overbearing either. The music also meshed extremely well with the piano-like sound effects that played with every mouse click. Speaking of that, I should note that the game also has controller support, which is a boon to anyone that prefers to play while comfortably ensconced on a sofa rather than sitting at a desk like they’re still at work. And for those that are at work and trying to sneak in a little brain break, the music and sound effects are optional. I found SiNKR to be both challenging and relaxing in equal measure. I never felt that the puzzles were deliberately made to be senselessly difficult, but I did find them to be challenging enough to grant myself a pat on the back after completing them. I very much appreciated the reasonably paced progression from learning to solving, and not having to read and try to remember a bunch of arcane instructions was an added benefit. The lack of written directions will also be of huge value to the international market. SiNKR releases on Steam on October 12. This one is worth a look, so mark it on your calendars.